We all live under stress. 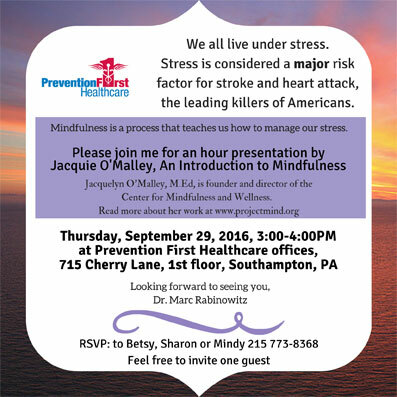 Stress is considered a major risk factor for stroke and heart attack, the leading killers of Americans. Mindfulness is a process that teaches us how to manage our stress. RSVP to Betsy, Sharon or Mindy 215 773-8368 and feel free to invite a friend.